As Halloween approaches, Cal Poly University Police Department (UPD) and the San Luis Obispo Police Department (SLOPD) are preparing: More officers will be on duty and double fines are a threat. 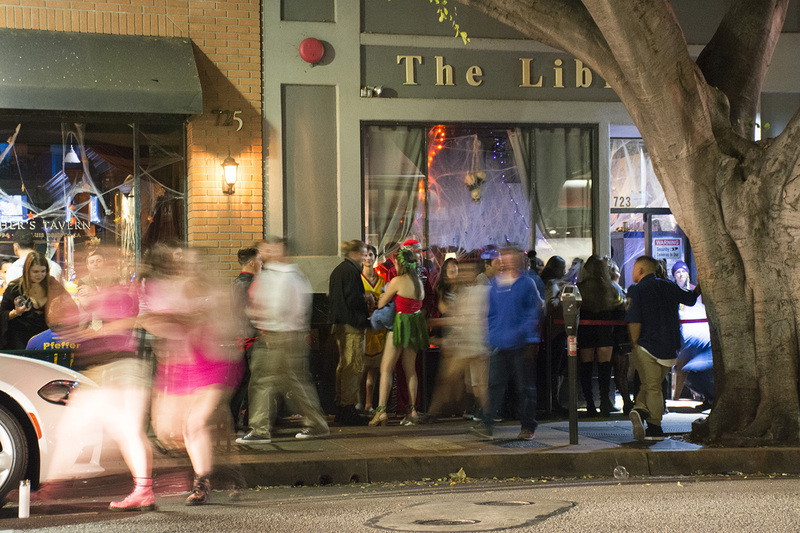 According to Cal Poly University Spokesperson Matt Lazier, UPD will handle Halloween the same as in past years, with extra officers on patrol both on and off campus in conjunction with the SLOPD. The increased staffing will occur the weekend before Halloween, Oct. 26-28, as well as on the actual holiday Wednesday, Oct. 31. “[UPD action is] focused on limiting public disorder crimes and disruption related to excessive drinking and related behaviors. This is standard practice for all holidays that see increased party activity,” Lazier wrote. Christine Wallace, Neighborhood Outreach Manager for SLOPD confirmed that their plan will remain the same as last year. There will be 10 additional officers on duty for Friday, Oct. 26 and Saturday, Oct. 27, as well as nine additional officers working on Halloween. According to Wallace, there will be no fine increases the weekend before Halloween, but there will be double fines the day of the holiday. The double fines will be enforced as part of the Safety Enhancement Zone ordinance that passed in San Luis Obispo in 2010. The ordinance states that the fines will be implemented on Wednesday, Oct. 31 at midnight to 7 a.m. on Thursday, Nov. 1. The new party registration system will not be revoked for the weekend before Halloween. Wallace said she has received 13 applications so far for the nights of Oct. 26 and 27. Party registration excludes weekdays, so no applications will be accepted for Halloween this year. Wallace said that having a party registered will not make people immune from fines, but will provide the registrant with the ability to get a phone warning before patrol shows up on the doorstep when complaints are received by SLOPD. Some advice Wallace had for students going out for Halloween included to go to Associated Students, Inc. (ASI) Halloween events, go out with friends, do not buy alcohol for people under age 21, designate a driver or use ride share apps and to intervene if you see something strange happening. She emphasized the importance of calling for help if needed — 911 or 805-781-7312 for the non-emergency dispatch. Also, “Pipe down when traveling through the neighborhoods. Screaming in the middle of the street at 2 a.m. isn’t cool,” Wallace said.